Poroshenko, Rutte are expected to meet soon. 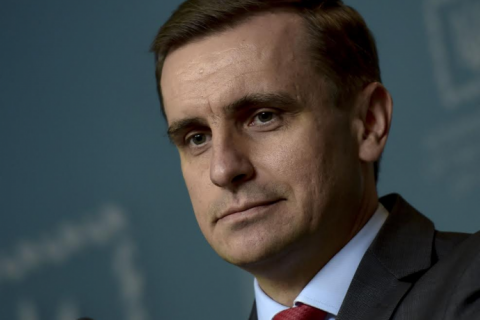 Ukraine will not agree to the revision of the Association Agreement, despite the results of the referendum in the Netherlands, deputy head of the Presidential Administration Kostyantyn Yeliseyev told a media briefing Friday. "There is no need to dramatize the event, since it has no bearing on the pace and quality of implementation of the Association Agreement by Ukraine. We are categorically against the revision of this important document. We are not going to make any changes or significant amendments in this document," he said. He remarked that any toward changes strengthening position and recognition and acceleration membership prospects will certainly be considered. Yeliseyev said Ukraine is awaiting for the reaction of the Dutch authorities regarding the results of the referendum. "I do not exclude that in the coming days we will a meeting between the Ukrainian President and Prime Minister of the Netherlands [Mark Rutte] will be held. But I stress again: The ball is now on the side of the Dutch party," AP deputy head said. The referendum on the ratification of the association agreement between the EU and Ukraine was held in the Netherlands on 6 April. The results will be announced on April 12, but, according to preliminary data, 61.1% voted against with 38% voted "for". The referendum was declared valid, because the turnout exceeded 30 percent. Netherlands remains the last EU country that has not yet completed the ratification procedure of the Agreement.